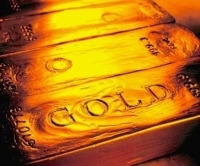 German demand for physical gold investment remains the highest in the West. Even though most of the world’s gold supply continues to flow to the East, German demand for physical gold investment remains the highest in the West. This is probably due to a percentage of Germans who are not at all happy with the current financial system with the European Union, including the ongoing situation in Greece. As we can see from the chart, Germany was in first place at 24.1 mt, U.S. ranked second with 12.5 mt, Switzerland came in third at 11 mt, followed by other European countries (total of 7.7 mt), Austria (2.5 mt), U.K. (1.9 mt) and Canada (0.5 mt). You will notice that France came in last by actually selling a net 0.6 mt of physical gold into the market in Q2 2015. So, when the situation in Greece starting to heat up as a possible exit of the European Union (during the middle of June), the French thought the best financial strategy at the time was to sell gold. LOL. Total Eastern gold bar and coin demand for the second quarter was 115.9 mt versus the West’s 59.6 mt. Again, Germany accounted for the majority of the West’s physical gold investment (shown in its flag color on the chart). Now, I realize the World Gold Council’s figures may not represent that total amount of gold flowing into China and India, but it gives up some guideline to just how much less gold is flowing into the major western countries. We must remember, only 1-2% of the world’s population is investing in physical gold. If private investment in physical bar and coin demand presently accounts for 25-30% of total world gold supply (yes, this may be conservative), what happens when another 1-2% get interested?? Forget about the masses, just a few percentage increase in physical gold demand will totally overwhelm the market.